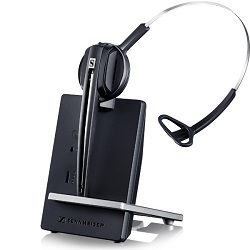 Sennheiser D 10 Phone Mono Wireless Headset with Noise-Cancelling Microphone | Avcomm Solutions, Inc.
Sennheiser D 10 Phone is a streamlined mono wireless DECT headset connecting directly to the desk phone to provide uncompromising sound for office professionals. 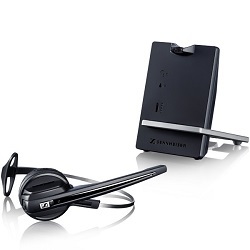 Sennheiser Voice Clarity and noise-cancelling microphone optimize speech intelligibility. 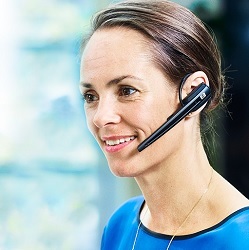 Designed for all-day use, D 10 Phone is a lightweight headset with 2-in-1 wearing style (ear hook and headband). 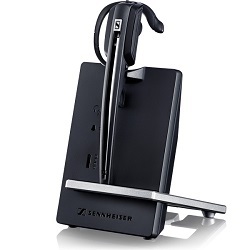 Features include phone conferencing, hot desking and Sennheiser ActiveGard® hearing protection against acoustic shock.